Talk about flower power! With the Green Toys™ Build-a-Bouquet, budding florists can create countless floral arrangements while saving energy and reducing greenhouse gas emissions. 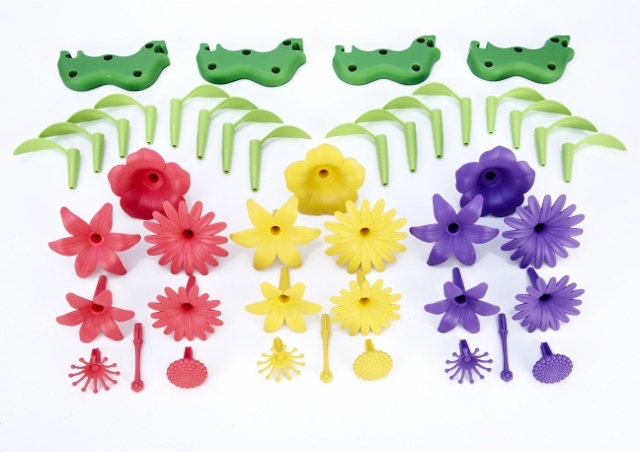 Made in the USA from 100% recycled plastic milk jugs, this brightly colored 44 piece set includes 4 bases, 16 stem and leaf pieces, and 24 flower pieces. The vibrant lilies, petunias, and daisies stack interchangeably in the assorted stems for limitless fun that blossoms in all seasons. 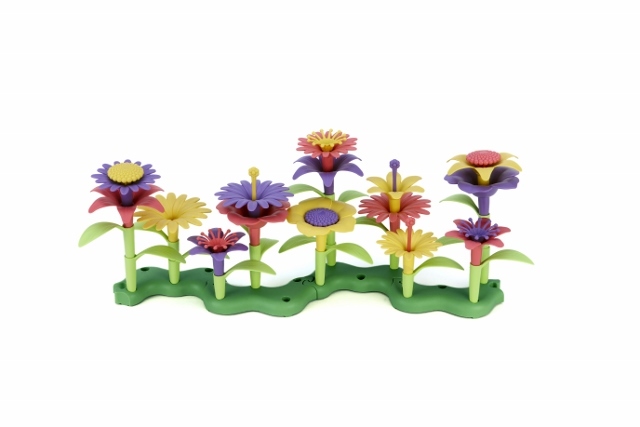 It's no secret that this garden is as safe as it is fun, with no BPA, phthalates, PVC or external coatings. Packaged using recycled and recyclable materials and printed with soy inks.